Welcome to Terry Freeman's web-site. The web-site of Terry Freeman. 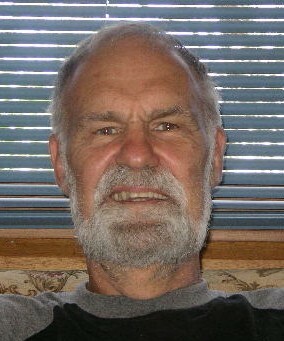 I grew up in New Zealand, moved to Australia to finish my academic studies early 1970. I remained in Australia to teach physics first at Duntroon (Military College) and then for 26 years at Macquarie Unversity. When I retired in 2001, I had some experience in the mortgage market; as well as supporting Earth Sancturaries a company formed to try and put the protection of endangered species on a commercial basis. Both these investment opportunites crashed around 2008 but we had been prudent enough to avoid any serious losses. At a less professional level I have always enjoyed playing music, chiefly as a fiddle player but now choral singing. While I have always been a Christian believer my less than orthodox theology makes it inadvisable to for me to join any particular denomination or cult. I have started a series of interviews with God, which you will find here. I have written as series of essays on religious belief, which you will find here. I have also written some essays on science, which you will find here. I have written some tales for my grandchildren which you can find here. I have written some tales for adults which you can find here.